Christina Applegate's tousled waves make thin hair look more voluminous. See how to get the look:1. Mist damp hair with volumizing spray and flip your hair upside down to blow dry it. 2. Once all of your hair is dry, part your hair to the side and rake your fingers through your layers. 3. Use a large barrel curling iron to curl the ends of your hair, twisting the barrel outward to create volume.4. Mist your hair with lightweight hairspray to finish. Cameron Diaz's pretty updo is an easy look to get. Steal her style:1. Apply smoothing cream to damp hair and use a round brush to blow dry it straight. Lift hair up at the roots while blow drying to add volume. 2. Part your hair to the side. Brush all your hair up and twist it into a bun at the back of your head. Secure it with an elastic and mist with hairspray to hold. 3. Let a few pieces of hair fall out around your face to get a chic, wispy look. Elizabeth Banks' simple bun is a great look for the office. Steal her style:1. Apply smoothing cream to damp hair and blow dry straight using a paddle brush. 2. Part your hair to the side and brush it back into a bun, but don't secure it.3. Hold it in your hands and twist into a bun. Pin the ends down with bobby pins. 4. Slip on a sparkly headband to add a flirty touch. Cameron Diaz's straight hairstyle is ultra-chic and easy to get for fine hair. See how to get her look: 1. Apply smoothing cream to damp hair and use a paddle brush to blow dry hair in sections. 2. Part your hair slightly off-center for a chic vibe, and curl the ends of your hair only. 3. Mist hair with an anti-humidity hairspray to ward off any frizzies that tend to pop up for fine-haired ladies. Cameron Diaz's curled-in ends show off her chic layers. See how to get the look: 1. Apply a smoothing cream to damp hair and blow dry straight with a round brush, pulling hair outwards for volume. 2. Part your hair down the middle and use a large barrel curling iron to curl the ends of your hair inward. Perf for showing off all of your face-framing layers. 3. Use some styling gel to finger-curl some of your ends to give them more shape. 1. Apply a dollop of smoothing cream to your palms and run it over your hair. Blow dry hair straight using a paddle brush. 2. Straighten your hair from root to tip using a flat iron, and curve your ends in slightly so they don't fall flat. 3. Psst -- stick straight hair can also mean static, so smooth on an anti-frizz shine serum to make your strands look nice and sleek. Nicky Hilton's chic updo with a side part is a glamorous Audrey Hepburn-inspired look that's perfect for oval-shaped faces. Steal her style: 1. To start, apply a straightening cream and blow dry your hair straight with a paddle brush. 2. When your hair is dry, use a comb to create a side part (we're talking severe side-part, almost a comb-over). 3. Then, smooth down the top section of your hair and pull it back into a high pony right at the back of your crown.4. Take the ends of the pony and tightly wrap them around the base and pin into place. 5. To complete the look, mist with hairspray, making sure you catch all flyaways (bring out your inner perfectionist ? the look here is sleek). Sunglasses optional. Kristin Cavallari's long, polished hairstyle is great for a stylish event. Steal her style: 1. To get the look, apply a straightening cream and blow dry hair straight with a paddle brush.2. Part your hair down the middle and straighten small sections of hair with a flat iron.3. Apply a tiny amount of hair wax for more piece-y texture. 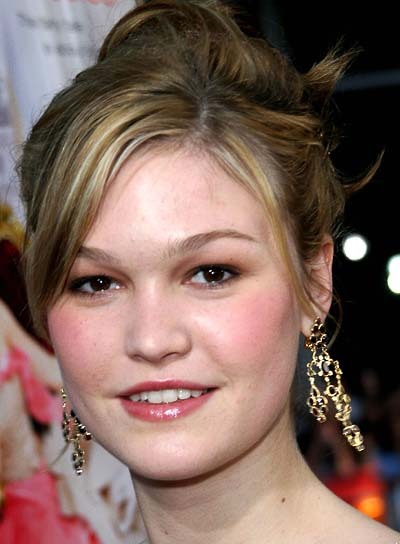 Kirsten Dunst's short look requires long, thick, deep-set bangs that are tapered at the outer edges. 1. Use spray gel on all hair except your bangs. Blow dry hair using a vent brush. (It will retain more body than with a natural bristle brush.) 2. Mist bangs with setting spray and comb down. Then blow dry and brush 'em a few times to the opposite side you want them to fall. Then blow dry them the other way until bangs are feathery and in place. 3. Use maximum-hold hairspray to keep bangs in place. 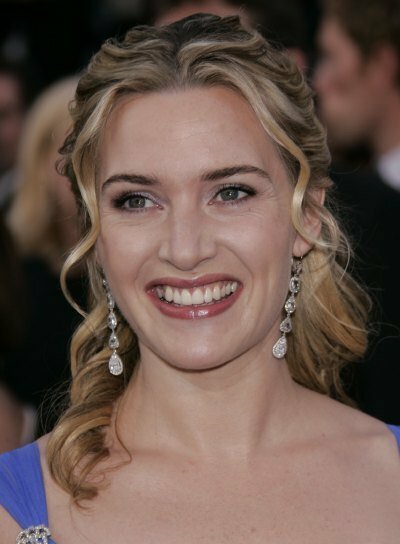 Kate Winslet's wispy bangs will add a little romance to any updo. Get her look: 1. Apply some mousse to your hair and blow dry with a diffuser to bring out natural waves. (Pin-straight? Braid sections of your hair first, then dry.)2. Work a smidgen of styling gel through hair, twisting curls as you go.3. Part hair in the center and gather it into a bun, French braid it, whatever strikes your fancy. Secure with bobby pins.4. Pull out a few face-framing pieces and gaze sultrily ahead. Kate Bosworth's wavy hairstyle can be done on naturally wavy hair or straight hair. What to do: 1. If your hair is wavy, apply a curl enhancing cream to start. If you hair is straight, apply a styling mousse to hold curls better instead. Blow dry with a diffuser to bring out curls. 2. Curl your hair using a curling iron, but leave out the ends -- you want a messy look. 4. Now pin hair back into a half updo.3. Don't forget to pull out some strands near your ear and curl them. Kate Bosworth's tight bun looks great on both short and long hair. Steal her style: 1. 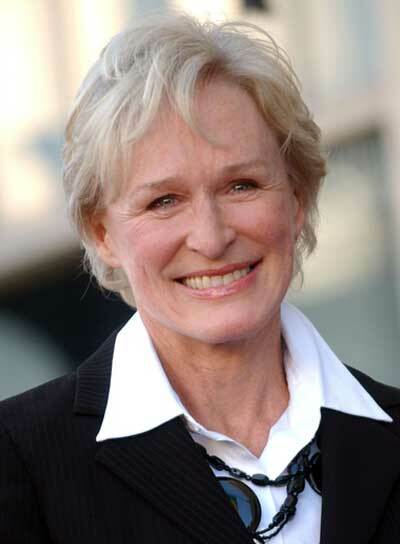 If you have short hair, apply a generous amount of gel to slick back the shorter strands. If you have long hair, you shouldn't have a problem with getting all of your hair to stay in the bun. 2. Pull hair back into a tight bun, and bobby pin any stray strands.3. Use the tail of a comb to pull the top of your hair up (but nothing too drastic, OK?) and smooth on a frizz-fighting product to tame flyaways. Kate Bosworth's soft, flowing hairstyle is a romantic choice for your next date. How to get the look: 1. To get the look, apply a styling cream and blow dry your hair straight.2. Use a curling iron to curl the ends of your hair (this will work best on the lowest heat setting).3. Mist with hairspray to finish. Kate Bosworth's girly bangs go perfectly with long, straight hair. Steal her look: 1. To get the look, straighten dry hair with a flat iron.2. Run mousse through the ends of your hair to add some texture. 3. With the remaining mousse on your fingers, tousle your bangs and let them naturally fall into place. Kate Bosworth's sleek bob is a stunning look for your next party. How to get it: 1. To get the look, apply a heat protecting spray first. Then blow dry hair straight.2. Now straighten your hair with a flat iron, turning the ends under. 3. Tuck one side of your bob behind your ear. 4. Finish with a shine serum or spray. Jewel's messy, medium-length, party-perfect hair looks like it has lots of volume, even though it's really super-fine. To get the look: 1. To start, apply a volumizing cream to your hair, and blow dry hair upside down (without a brush) so it gets lots of texture. No worries if it's messy.2. Once your hair is dried to the max, run your brush through to tame it down a bit. Then, take your curling iron and curl a few random sections. 3. When the curls set, run your hands through your hair to loosen them.4. Then, make a swooping side part almost all the way to the back of your crown.5. At the back of your crown, use a teasing comb to pump up the volume, then smooth over the top layer.6. Finish off with a holding spray, and you're ready to step out. Ashlee Simpson's tousled 'do is party-perfect. Get her look here: 1. Apply volumizing mousse to damp hair and comb through.2. Blow dry straight (but not pin straight, so don't waste too much time on perfection) with a vent brush, lifting at the roots for volume on top. Direct bangs to the side. 3. Section out a chunk of hair on either side of your face, and loosely gather the rest back into low pony, or chignon, and secure at the nape of your neck. 4. If you hair doesn't have a natural wave, add one at the front with a curling iron, but just at the ends. Ashlee Simpson is a white-hot mess (in a good way) with this wavy/spikey combo look. Steal her look: 1. Apply volumizing mousse to damp hair from roots to ends and blow dry with a vent brush for fullness and straightness.2. Mist your bangs with setting spray (hers are controlled and for that -- you need hold). Blow dry them to the side but leave the outer portion a bit wavy, not spikey.3. Use a flat iron to spike up a few pieces of bangs and the ends of your hair.4. Working in 1-inch sections at a time, mist the hair from eye-level down with flexible-hold hairspray and twirl the section until it twists onto itself. Pin in place. 5. Let the twists dry for 20 minutes and release into shiny, beachy waves.